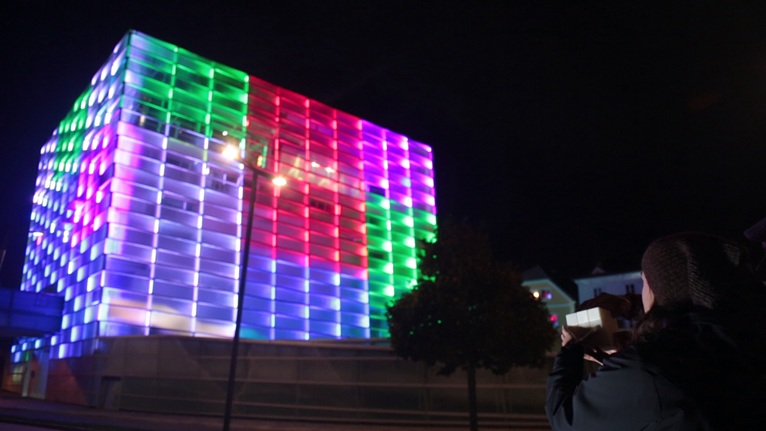 INSTALLATION_ In the city of Linz, Austria, the spanish artist and designer Javier Lloret transformed the Ars Electronica’s media facade into a Puzzle Facade, inviting passers-by to engage with an interactive experience of solving a giant Rubik’s cube to the urban space. 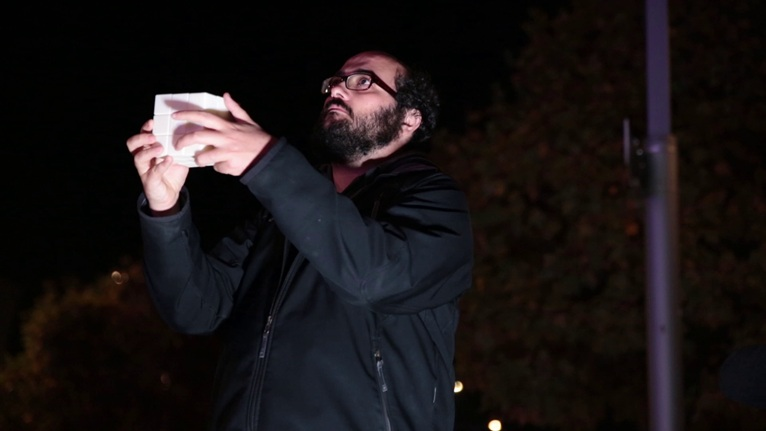 In Puzzle Facade the player interacts with the specially designed and 3D printed interface-cube. 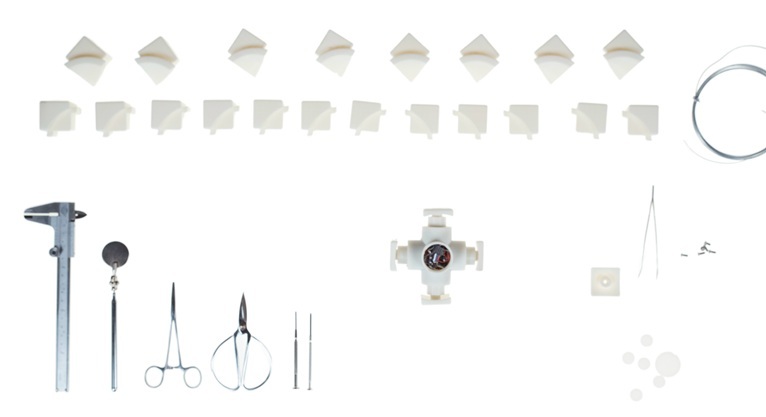 The interface-cube holds electronic components inside to keep track of rotation and orientation. This data is sent over Bluetooth to a computer that runs the Puzzle Facade designed software. 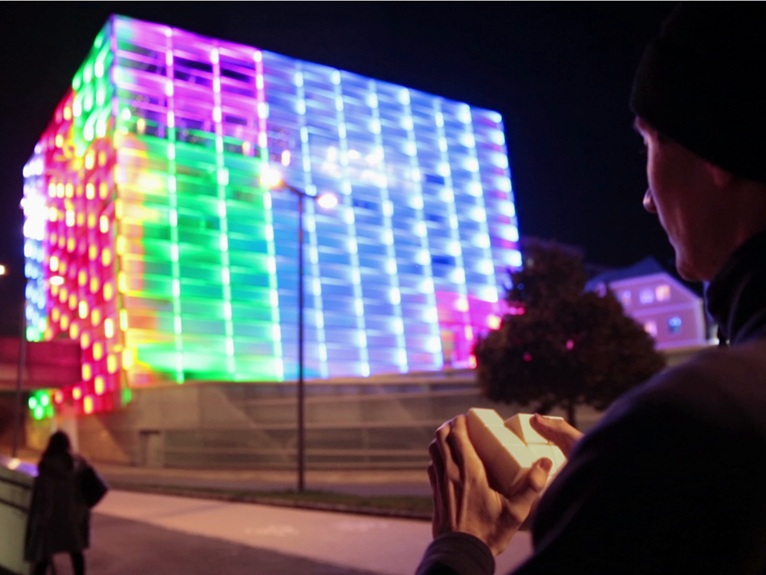 This software changes the lights and color of the large-scale Ars Electronica’s media facade in correlation to the handheld interface-cube.